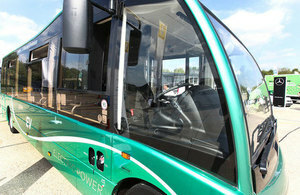 Two bus operators in Britain launch the Enviro400 City manufactured by Alexander Dennis. First, Glasgow operates the new Euro 6 diesel spec and secondly, Nottingham City Transport increases the bio-gas spec of the Enviro400 City. The Class 717’s have finally entered service on National Rail’s Great Northern routes serving the Moorgate branch. For the first time in 40 years, passengers are riding on new trains in the tunnels to London Moorgate, as Govia Thameslink Railway (GTR) begins to replace mainland Britain’s oldest electric rail fleet. In a £240 million investment, 150 new carriages are being introduced between now and late summer, to replace trains that first entered service in 1976. The UK government have announced £48 million of funding for transport authorities and bus companies to purchase ultra low emission buses. 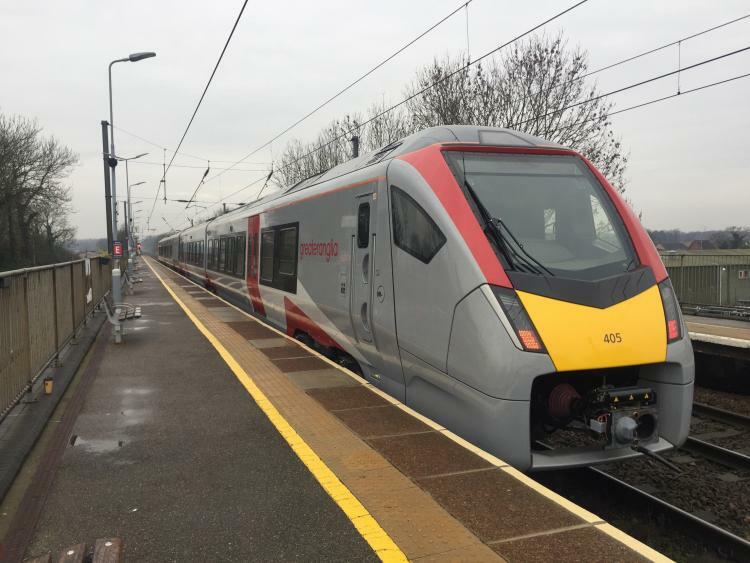 Greater Anglia has announced they are testing their new Class 745 and 755 trains manufactured by Stadler Rail. First of all, late as it, I would like to wish all of my readers a very Happy New and once again, I do apologise for the lack of articles for January. As part of the consultation changes for London bus routes C2 and 88, the entire route C2 will be withdrawn and route 88 will be re-routed to cover the old route C2. Following our consultation, we have identified the appropriate steps to address the key concerns raised during the consultation. First of all, I have to apologise for the lack of new articles on this site over the last few months - this is due to personal circumstances. This year has been an interesting one in the transport scene as we saw the opening of the new London Bridge railway station in January ; The last ever New Routemaster bus (LT1000) appearing on Route 267 in February; The announcement for new double deck electric buses for London Bus routes 43 and 134 which is expected to launch in 2019; The Volvo B5LHC with Wright SRM bodywork appearing on route 37 in August; And in September, there was a launch for the new Glider Bus Rapid Transit service for Belfast in Northern Ireland.